Installing LabVIEW onto Linux distributions isn’t the easiest process if you’re using to installing applications in Windows. So many commands on the terminal and so many variations of package management depending on the distribution. apt-get? zypper? yum? Even after you get the main LabVIEW packaged installed, why doesn’t it launch? The most common problem is missing libraries. In this article, we’ll discuss installing 32bit LabVIEW on CentOS 7. The only officially supported distributions of Linux has been Red Hat Enterprise, Scientific, and openSUSE (link). 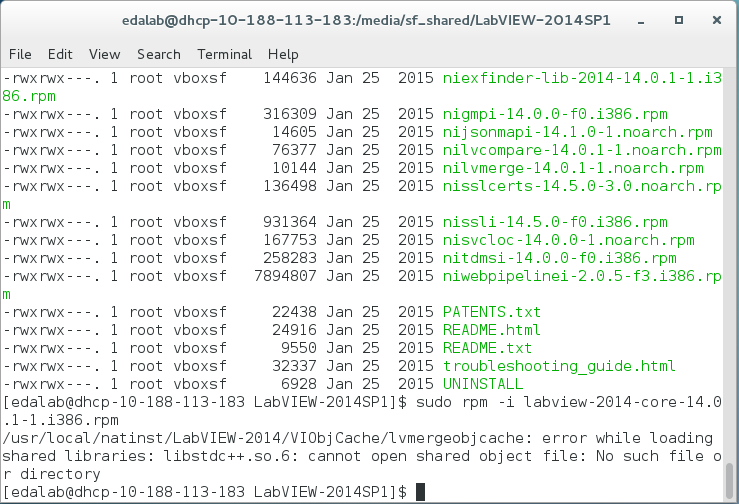 Although CentOS 7 is finally supported with LabVIEW 2015 SP1, what about earlier versions? LabVIEW 2014 SP1 64bit installs and runs just fine (aside from some minor graphics glitches) but 32bit doesn’t run at all out-of-the-box. 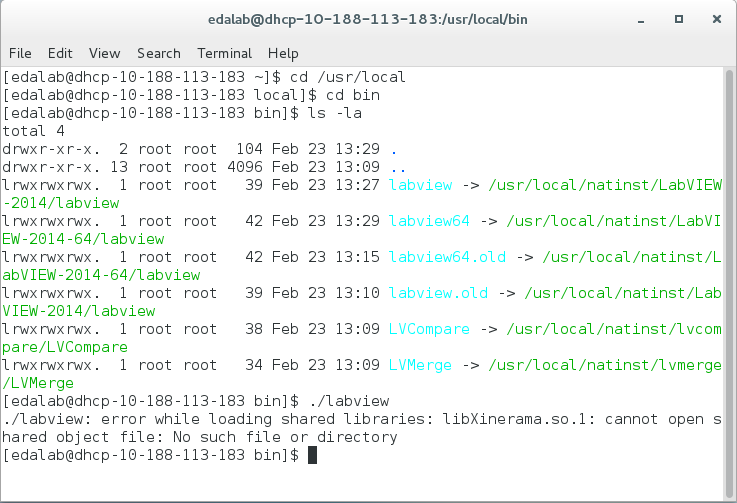 The installer doesn’t provide any help at all however after launching LabVIEW from the command line, you’ll notice a number of errors regarding missing libraries. Searching ni.com results in an article that describes the process for installing libraries so that you can run 32bit LabVIEW on 64bit Linux distributions but only for Ubuntu, OpenSUSE, and Scientific Linux (link). 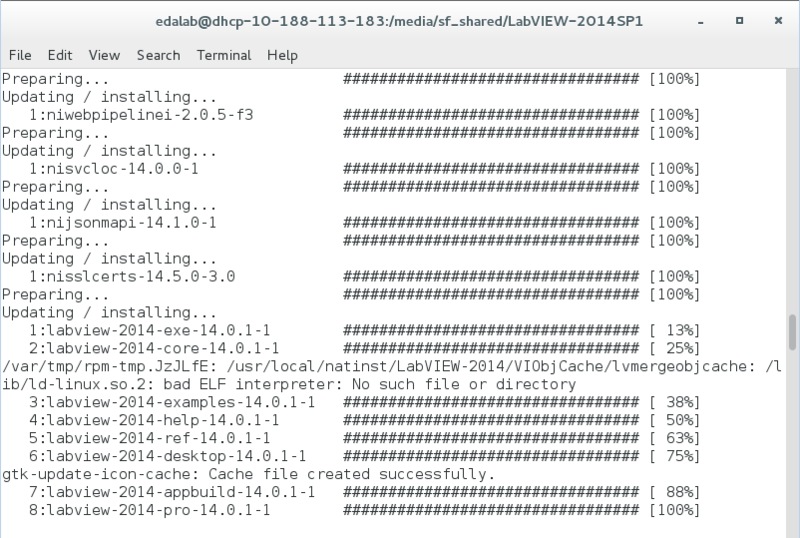 Here’s what you need to install LabVIEW 32bit on CentOS 7. During the install, I noticed that ld-linux.so.2 was missing. After installing the missing libraries, we’re able to launch 32bit LabVIEW on CentOS 7.